The SCORPION hulls were built from a mold created from a wood 5.5 meter boat in which George O'Day won the 1960 Olympics. In 1967 Ericson produced 24 of these modeled after the COLUMBIA SABRE and called them the SCORPION 32. 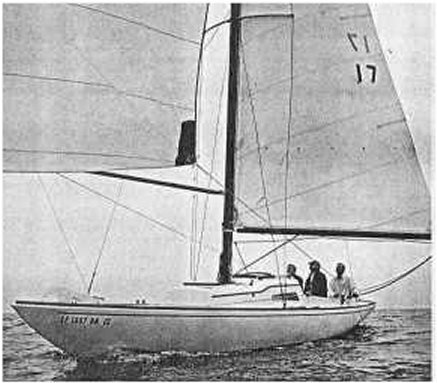 It was Ericson's original 32' yacht, sometimes called the ERICSON 32-I. It is nearly identical to the COLUMBIA SABRE presumably built using this same mold. Most had outboard wells though some were fitted with small inboards.